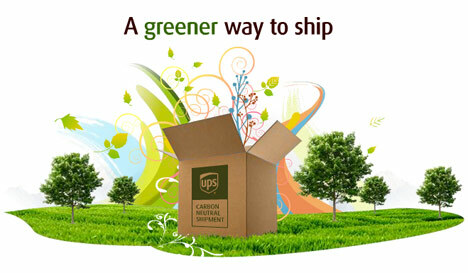 UPS Expands Carbon Offsetting Program Internationally, But Does It Make Sense? UPS recently became the first small package carrier to offer carbon offsets to customers. Now the shipping company is upping the ante by expanding its carbon neutral shipping program internationally to over 35 countries. The service is cheap, ranging from 5 cents to 75 cents, and easy, too–it requires customers to just check a box during the online shipping process. But does it make sense? European Union Allowances and Certified Emission Reduction offsets. The whole thing is overseen by the Société Générale de Surveillance (SGS) and the Carbon Neutral Company, to boot. We’re skeptical of carbon offsets as a general rule–it’s difficult to ensure that offsetting projects stand the test of time and there isn’t a quality standard that offsetters have to adhere to (UPS is using a number of different standards). But while some companies believe that offsetting simply encourages customers to consume more, UPS’s customers probably won’t decide whether or not to ship a package based on the availability of carbon offsets. In this case, it’s hard to see a downside to the program–just as long as UPS continues to track its carbon offset projects over the years.